William constructs a model LINAC machine (radiotherapy) with its inventor Prof. David Brettle to help children deal with the stresses of medical treatment, in St. James Hospital, Leeds, West Yorks. 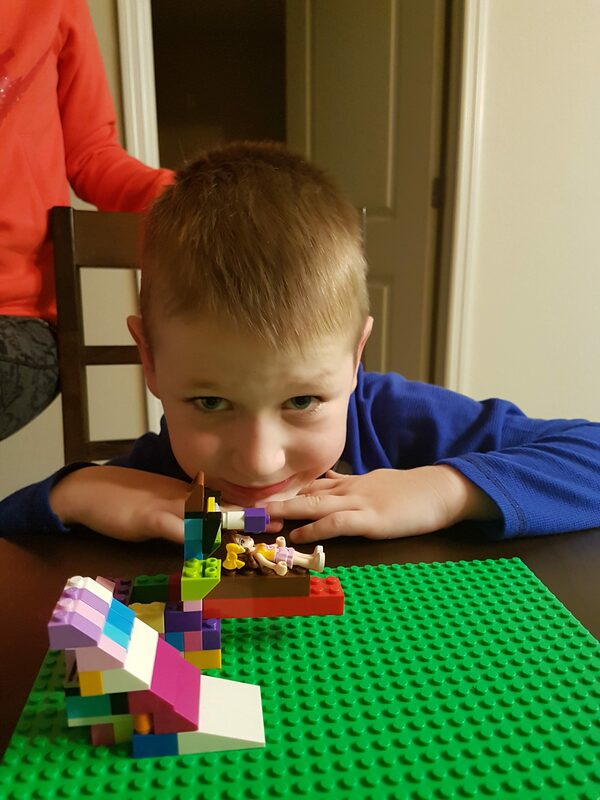 A seven-year-old cancer patient has no fear of using hospital machines – after he became one of the first children given a kit to build them from TOY BRICKS. 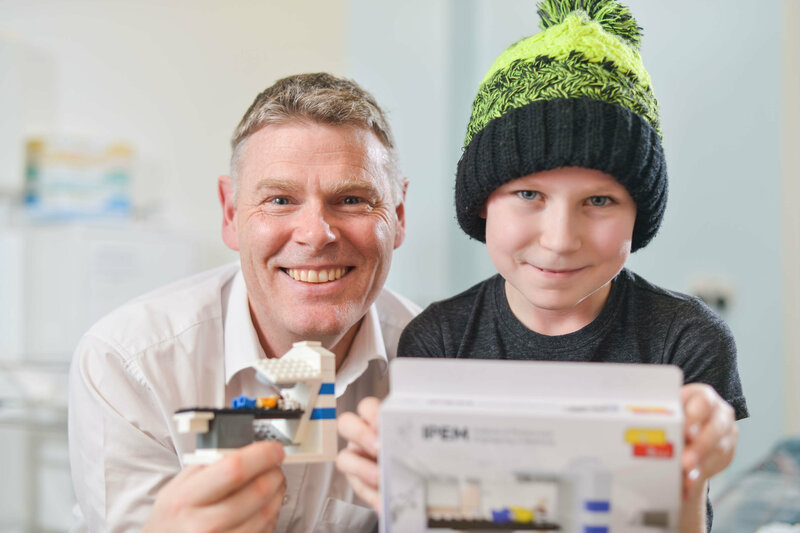 Brave William has been given a kit of small bricks – designed to create an MRI scanner, a gamma camera and a CT scanner – which he can build to reduce his anxiety of the daunting clinical machines. 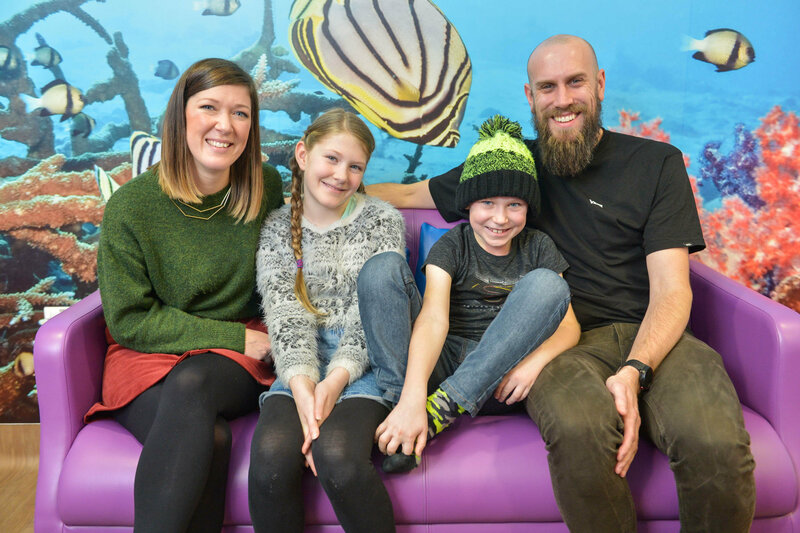 William – described as a “trooper” by his proud parents Paul, 37, and Laura, 34 – has courageously battled brain cancer twice since he was first diagnosed on October 27, 2016. The plucky youngster was “obsessed” with playing with toy bricks at his home in Huddersfield, West Yorks., throughout his treatment. William, 7, constructs a model LINAC machine (radiotherapy), invented by Prof. David Brettle to help children deal with the stresses of medical treatment, in St. James Hospital, Leeds, West Yorks., January 17 2019. So, when Professor David Brettle, 54, designed the kits to help youngsters across the UK, William jumped at the idea to build a replica of his own scanner. William said: “I love playing with the kits. I think it would help people who don’t know what they are going to have. 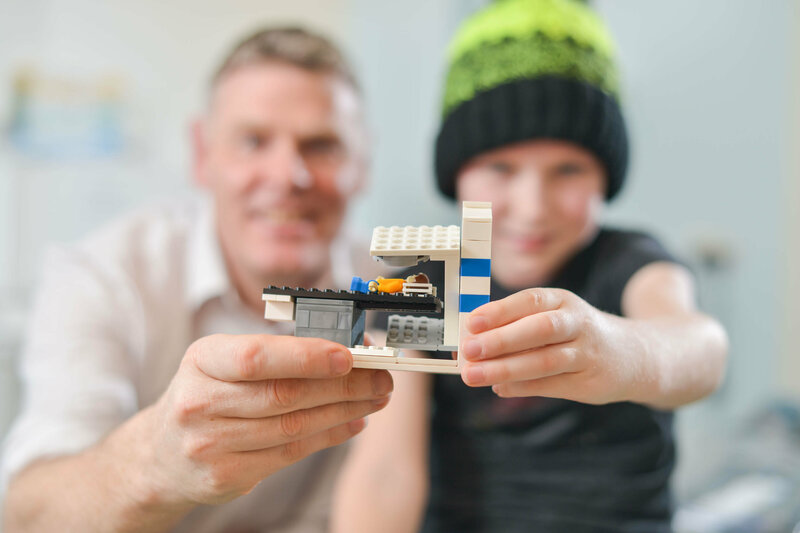 The ‘Little Linac’ project – clinically launched at Leeds Children’s Hospital on January 16 – will allow courageous youngsters to build the models set to be used in their radiotherapy treatment ‘brick by brick’. William is currently undergoing treatment using a ‘Linac’ machine at Leeds Children’s Hospital. The machine – short for ‘linear accelerator’ – is the device most commonly used for external beam radiation treatments for patients with cancer. 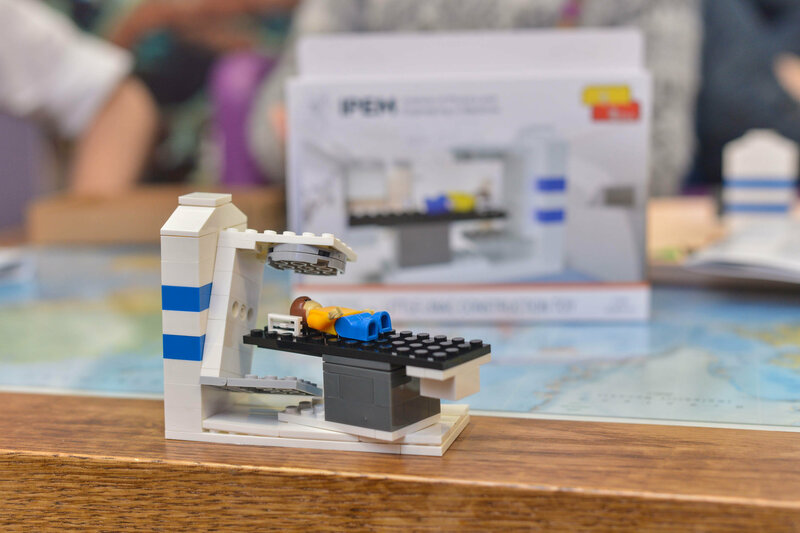 Now – with the help of the unique model kits which can also be used to construct the machine – William has no fear of using the Linac device. Describing William’s diagnosis, his father Paul said he started to feel in during 2016. 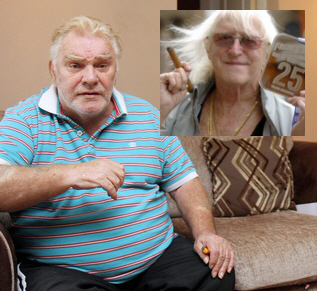 He added: “Every night he was saying he felt sick. 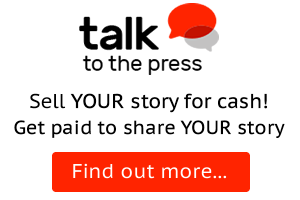 We went through a two to three month process going to doctors, going to A&E and getting ignored. 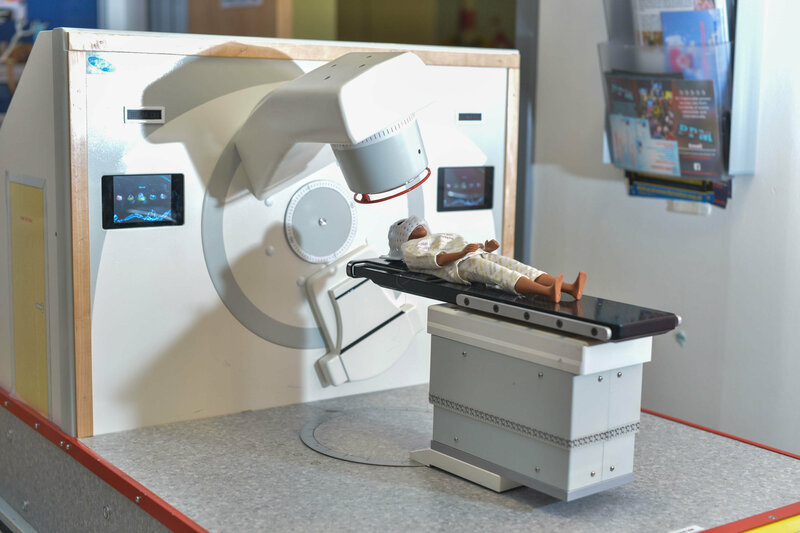 Prof. David Brettle has begun giving out kits to build models of these LINAC machines (radiotherapy, shown here in small scale) to help children deal with the stresses of medical treatment, in St. James Hospital, Leeds, West Yorks. Inspirational William was rushed for surgery immediately before he underwent proton beam therapy in America in early 2017. He then had planned chemotherapy for four months until June 2017, before a year without treatment. 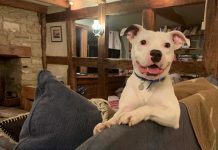 However, devastatingly a routine MRI scan in October 2018 revealed the cancer had returned. 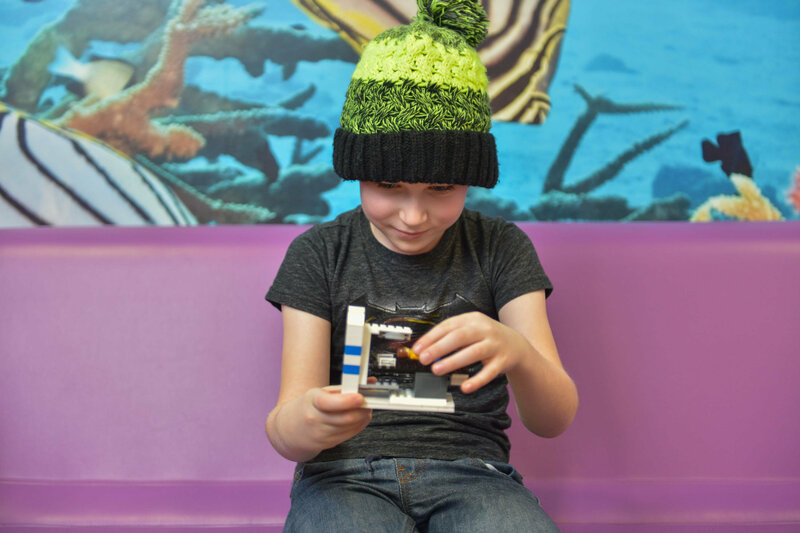 In an incredible photograph, William – who has been supported throughout his treatment by his elder sister Layla, ten – even built his own version of a scanner out of Lego bricks almost two years before he was given the ‘Little Linac’ kit. William’s mother Laura said the more the kits can “normalise” using the scanner, the better for children. 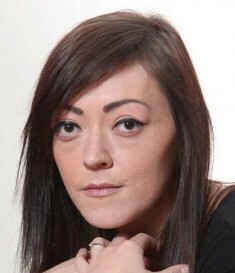 Laura added: “The team at Leeds Children’s Hospital have been amazing. He managed the treatment mostly due to the treatment he received here. Paul said the preparation work has made his son’s experience easier to deal with. William, 7 (in hat), has been given a kit to build a model LINAC machine (radiotherapy), invented by Prof. David Brettle (far left) to help children deal with the stresses of medical treatment, in St. James Hospital, Leeds, West Yorks. Family from left: mum Laura, sister Layla, William, and dad Paul. William incredibly underwent scans in America without general anaesthetic due to his preparation at Leeds Children’s Hospital – becoming one of the youngest patients to do so in the USA. The ‘Little Linac’ project is being rolled out to every children’s radiotherapy centre across the country. The Little Linac project was the brainchild of Professor David Brettle when he was President of the Institute of Physics and Engineering in Medicine. Professor Brettle spoke about how he originally came up with the concept of the kits. He said: “About four years ago we built a larger mechanical version to give children to play to get over their anxiety. “They are quite expensive to make so I went to a conference using model brick in a lecture I gave. “I thought hang on a minute, why don’t, instead of one expensive one, make lots of cheap ones. “On the way home I thought of building a little Linac machine out of bricks. “I got home, got my son to get the Lego out of the loft and built one on the kitchen table. 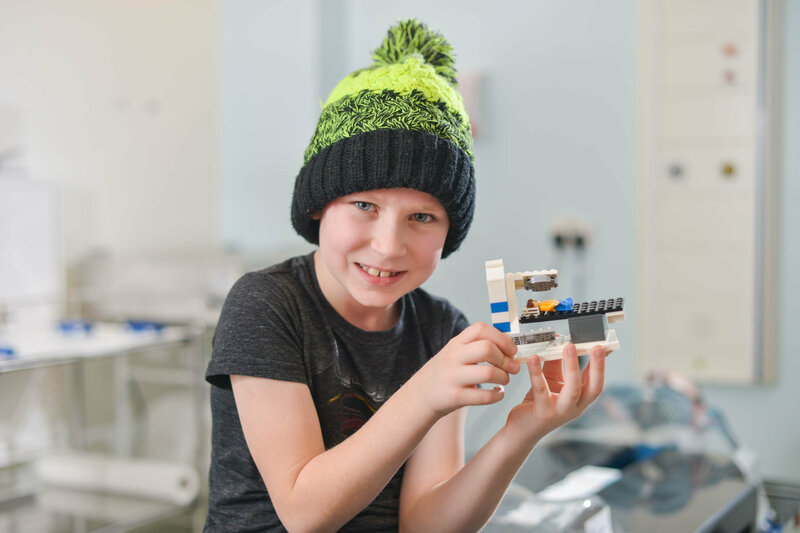 Collect of William, 7, from 2016, building a radiotherapy machine from lego, and who has now been given a model LINAC kit (radiotherapy), invented by Prof. David Brettle to help children deal with the stresses of medical treatment, in St. James Hospital, Leeds ,January 17 2019. William, 7, (surname withheld) constructs a model LINAC machine (radiotherapy) with its inventor Prof. David Brettle to help children deal with the stresses of medical treatment, in St. James Hospital, Leeds, West Yorks. Professor Brettle described the incredible difference in patients after using the kits. 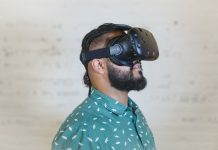 He added: “When you can physically relate to what is going to happen to you it allows you to overcome your fears in advance. “The way the machine moves, the look of it, these young patients are in for a very long period. The kits have been sent internationally as far as New Zealand and Peru and the planned future is a self-sufficient model. 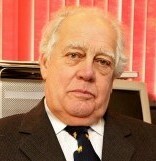 Professor Brettle said: “For every one sold, two are given to children for free.